I need a Game of Thrones themed map and matching Facebook cover. 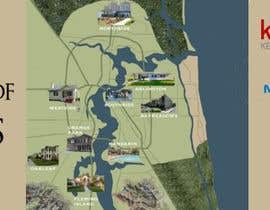 The design should be made based on communities within the Jacksonville, Florida. The map will be called Game of Homes. The different kingdoms on the original Game of Thrones map should be replaced with pictures of Florida homes. 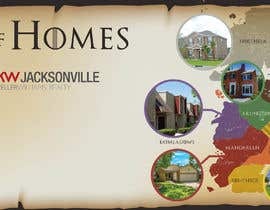 The different kingdoms will be made up of the following Jacksonville FL areas: Fleming Island, Oakleaf, Orange Park, Northside, Southside, Mandarin, Arlington, Baymeadows, Westside. The font used should be similar as the Game of Thrones fonts and the map should have a design that makes the viewer think of Game of Thrones without using the actual Game of Thrones map. I do not want issues with copyright laws. I must have the two attached logos incorporated into the design. please Explain the contest a little bit further, I know we are not to design a logo, Add an example of the project you like to make the work easier. when you look at the attached map you will see logos that represent the different kingdoms from the game of thrones. 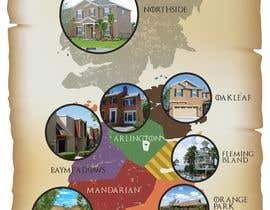 design a map similar to the game of thrones and replace the logos on the map with houses. 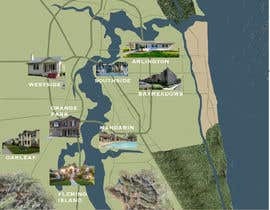 Each house used in the design will be associated with a community from Jacksonville. Instead of kingdoms on the map they are replaced with houses and community names. Does this help? please Can you add a reference Image to ease the work. I uploaded a sample map.